This is a great buy. This water polo sweat jacket is a navy blue heavyweight sweat material with a large lettering sewn on the full front "WATER POLO" . GET THEM WHILE THEY LAST, IT'S A GREAT BUY. REGULAR PRICE IS $69.99. This double lined durable polyester suit is comfortable during prolonged use and is great for training or competition. This full back zip-up suit has a high neckline which provides ideal coverage for the water polo player as well as the swimmer that wants more coverage. This AQUATUFF fabric is made from 56% PBT/50% polyester which gives maximum durability and comfort. This Shot Clock can be mounted on a tripod (you will find one under Colorado Start Systems on this website). It can also be wall mounted. 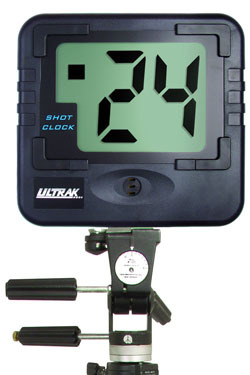 Each Ultrak T-200 includes two shot clock displays and one control console. Each shot clock display, which can be wall mounted or used with a standard tripod, is 10 inches wide by 9 1/2 tall with large 4 inch digits. Time can be counted down from up to 60 seconds and includes a loud beep at zero. The shot clocks are controlled by a two-button operation console that connects to shot clock displays via standard telephone cord for easy user modification. WOMEN'S CLASSIC LOGO HOODED SWEATSHIRT-SALE! This preshrunk, heavyweight cotton blend pull-over has a pocket print on the front and full print on the back. This pre-shrunk, heavyweight cotton blend hooded sweat has a water polo logo pocket print on front and a full print on the back. THESE CAN BE ORDERED AT A DISCOUNTED PRICE FOR A TEAM QUANTITY BY CALLING 1-800-329-0013. This ball is USA Water Polo approved for ages 14 & under. This NCAA and NFHS approved game ball is a FINA approved yellow ball in natural buffed rubber with NFHS logo. 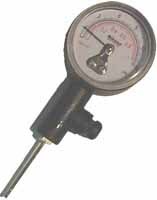 Mikasa Sports Air pressure gauge for sports balls and equipment. Professional quality with easy to read face, shock resistant cover and guage, quick pressure release valve, and a standard needle. Double action pump for sports balls and equipment. Includes pump extension cable. These caps have no number and can be oordered in your choice of color. This is a quality goalie cap for a great price. This includes 2 complete sets with number in front and back of cap as required to be compliant with USA Water Polo. The FlipFloat is a full-size competition floating polo goal, dimensionally the same size as the very popular Club goal, with the added benefit that IT FOLDS FLAT FOR STORAGE. The FlipFloat meets all national and international specifications, and is easy to erect and fold down; just pull the Rear Arms out of their sockets, and the Front Frame folds down onto the Float Panels. Thats it!! Once folded, the FlipFloat goal can be carried easily by two people. The floatation panels are durable hand-laid fiberglass. The front frame and rear bar are white powder-coated aluminum. The rear struts are 1" diameter nylon rods. The net and rope are polypropylene. All fittings are stainless steel. AntiWave is renowned for the quality of their products, and (as for all products) we offer a 3-year warranty. FREIGHT will be determined at time of order and you will be notified of that cost. We will wait for your approval before anything is charged or shipped. Shipping will be determined at the time the order is placed and you will be notified for approval before the order is charged or shipped. Top-Selling floating goal made by Anti Wave. The frame is made of 3" X 2" aluminum and supported by 1 1/4" corrosion-resistant pipe. The flotation unit is of heavy-duty ABS, filled with high-density ethafoam. Total weight for this unit is 85lbs. Freight will be determined at time of order and you will be notified and we will wait for approval before charging and sending the order. The wall goal is made to the same high standards as the floating goal. Fitted with back canvas and net goal is anchored into the deck of the pool and suspended over the water surface. Availabe for deep or shallow ends. Total weight for this unit is 80lbs..
FREIGHT will be determined at the time order is placed and you will be notified so that you can give approval before order will be charged or shipped.